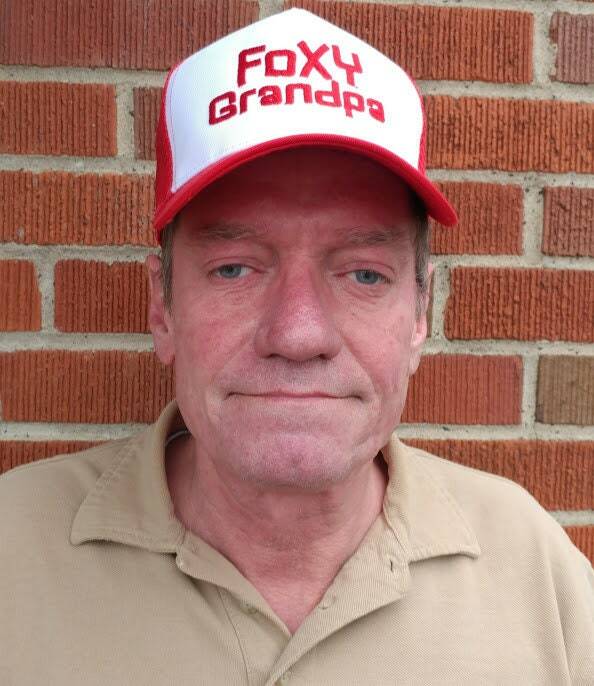 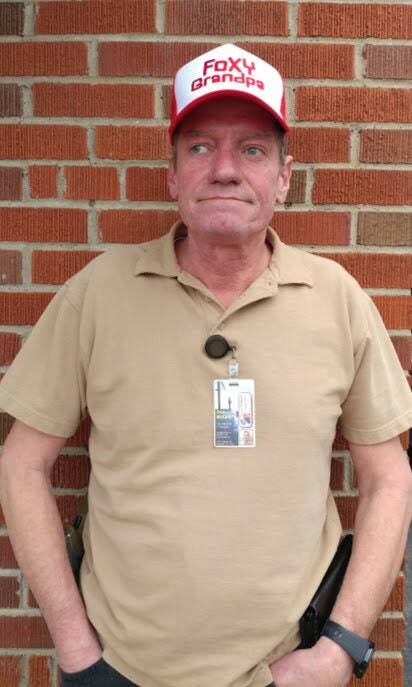 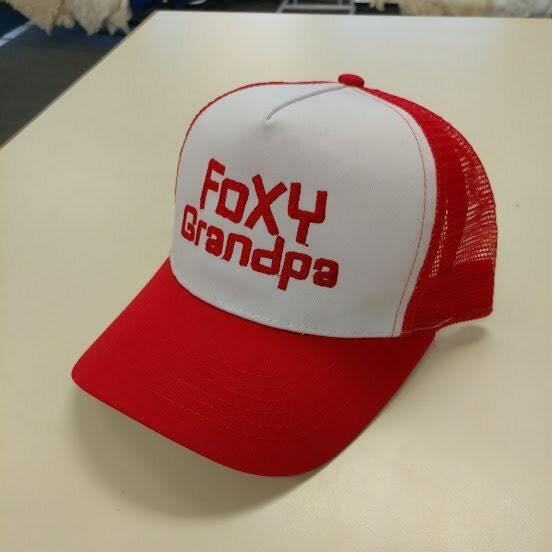 This Trucker hat is embroidered with the words FOXY GRANDPA. 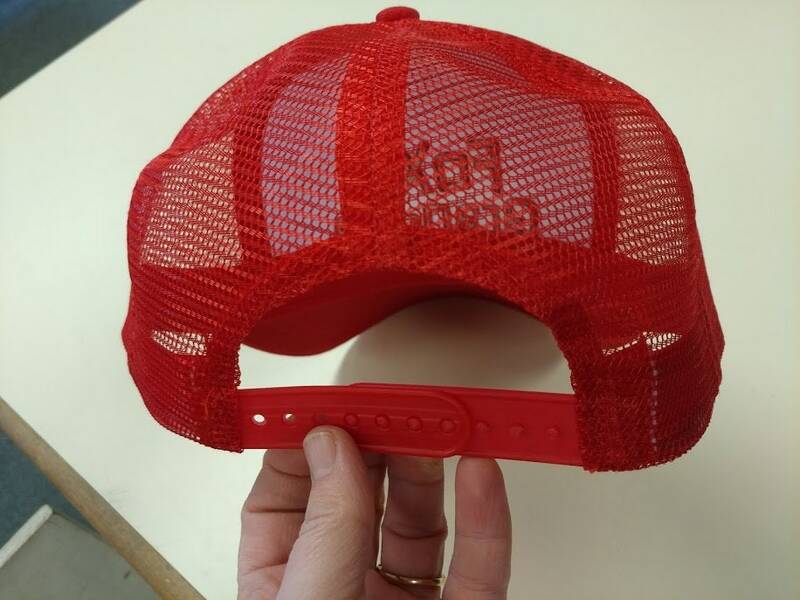 It is on a structured trucker cap with mesh backing and plastic adjustable snap. 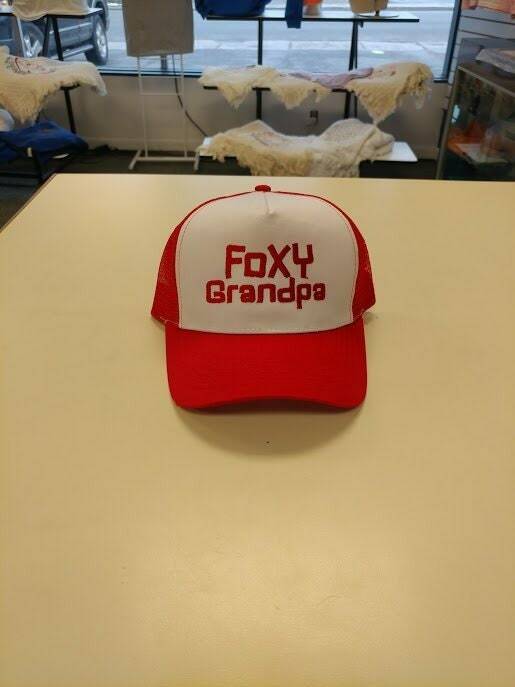 It is a one size fits all cap. 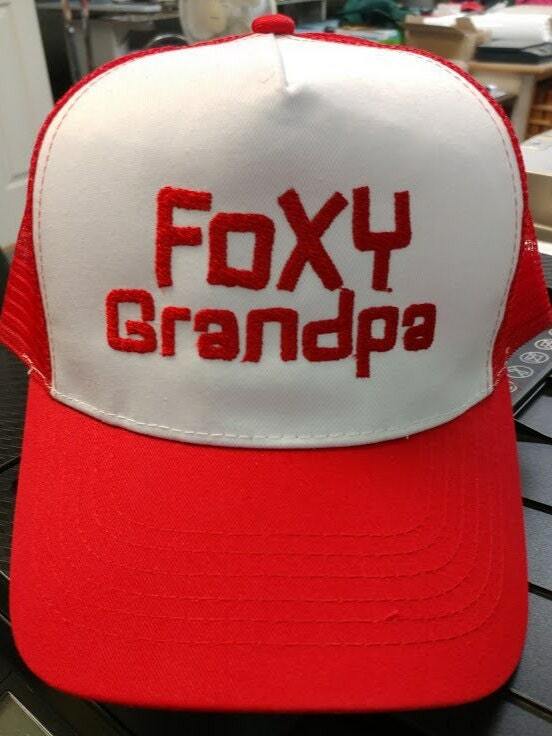 The hat will ship in approximately 5-10 business days, please let me know if you need it quicker than that. 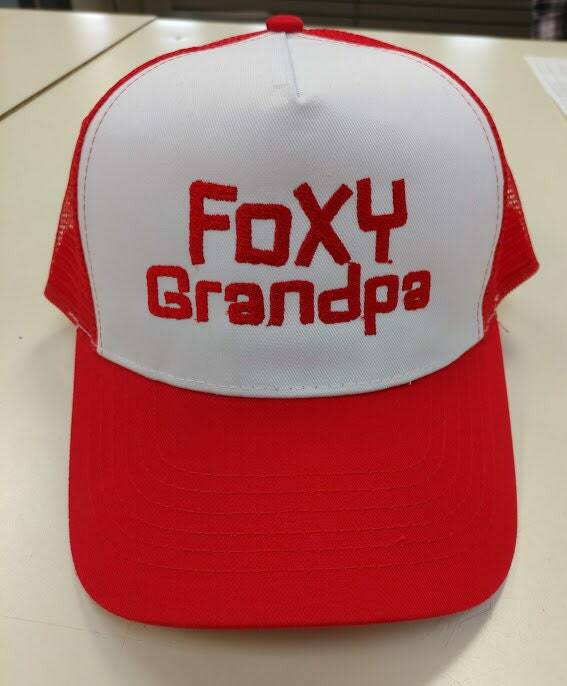 It is mailed first class, unless you upgrade to Priority mail.